Are you overwatering or underwatering? Being into permaculture I'm generally not into watering. But, it's hard to avoid sometimes. An overwatered and underwatered plant can look very similar - dying leaves. However, generally the brown dead leaves of an underwatered plant will feel crispy, whilst the brown dead leaves of an overwatered plant will still feel limp. So, when to water? To work out it you need to water, poke your finger a few centimetres into the soil. If it's damp you don't need to water. If you water too much, the soil will not have enough oxygen in it for the roots to breath. Binley has some good detailed information about saving overwatered plants. I have spent a lot of time overseas and settled on these as my top picks for ways of getting the most for my Australian dollar abroad. This will be on a Citibank Plus Transaction Account. A huge international network of Citibank banks and ATMs. You can use these to withdraw money fee free in places where local banks impose charges. You can set up an Australian account with citibank Australia from any country where you can access a Citibank branch. * Foreign banks may impose a fee for using their ATM. In some countries all banks charge. In some countries none do. And in other countries some banks charge while others don't. As a community development worker and especially since we started the Bellbunya Community, I have been interested in the way workload and responsibility naturally seems to distribute itself in voluntary organisations. It appears to me that, in general, a small group of overworked people tend to carry the majority of the responsibility. At the other end of the spectrum, another small group of people rarely get beyond good intentions when it comes to sharing the workload and responsibility. In the middle, the majority of people are willing to contribute as long as there is someone to coordinate and tell them what to do. As one of the small, overworked group in the middle, I spent a lot of time wondering about how to balance things out, to make things more efficient and enjoyable and avoid resentment and burnout. This downloadable document represents the best of my thinking so far and builds on a model provided by Paul Mischefski. 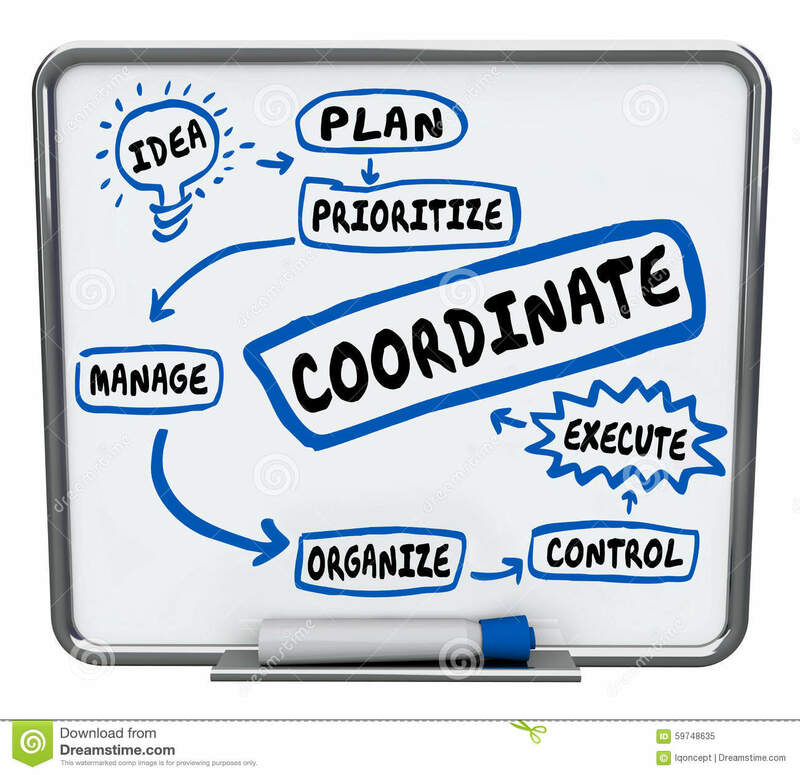 It provides effective tools for simplifying coordination of tasks across numerous dimensions in an organisation and for helping people who would normally be followers to gradually take on more coordination. The system that I explain here is no silver bullet but, if applied diligently, it makes a big contribution towards a more equal sharing of the load. I provide examples from my community which you are welcome to adapt to your own needs. In meetings, how do we make sure that topics flow, that everyone is heard, that everyone understands the topic before discussion about the topic happens, that frictions that may arise in the group do not prevent it moving forward, etc? And what if no-one is comfortable or highly skilled in facilitation? The larger the group and the more complex the topic the more inefficient a meeting can become. This is because our traditional approach of raising your hand and waiting your turn before you speak does not recognise the multidimensional nature of meetings. A skilled facilitator can greatly help but, even then, will occasionally miss something. Remember meetings you've been in where people are debating a controversial topic and lots of people want to speak. Lots of opinions and arguments are put forth and the fourth person to speak couldn't understand some key elements of the initial concept. So, everything from the initial point onwards has been lost in understanding and needs to be re-explained once the initial understanding is clarified. Colours of Empowerment to the rescue! We started using this process for the complex and busy meetings in the early days of setting up the Bellbunya Community to ease the pressure and seemingly endless discussion on so many topics. It worked. Red - Process. There is a process issue - e.g. The discussion has gone off topic or over time. We need to stop and reassess. Orange - Acknowledgement/ Emotions. To acknowledge emotions (my own or those I sense in the room) - e.g. expressing appreciation, recognising anger or tension or hurt feelings in the room. Yellow - Clarification. I want to ask a question to help me understand (gain clarity) about what is beeing discussed. Green - Information. I have information that could help others in the mtg understand. Blue - Opinion/ Comment / Idea. I have an idea or opinion to share. It's good to create coloured cards with the words in bold written on the back to help jog meeting participants' memories. It is also good (especially whilst learning how to use the system) to have a poster on the wall, listing the cards in priority order that meeting participants can see during the meeting. 2. Whenever someone wants to speak or ask a question, they simply hold up the coloured card that indicates the category of what they wish to say. 3. The facilitator gives the next opportunity to speak to whoever is holding up the highest priority card, regardless of the order in which cards are actually held up. Red is highest priority and Blue is lowest priority. So, if, for example, there is someone holding up a blue card, another person holding up a yellow card and another person who later holds up a red card then the red card holder gets to speak first. The blue card holder only gets to speak if there are no cards of any other colour being held up. The Colours of Empowerment bring everyone along at the same pace. In a meeting, we can only progress at the rate of the slowest person and this process makes sure no one gets left behind. We give priority to making sure we are firstly on topic/time (red) and then that emotional needs arising within the meeting are being met (so that they don't get in the way of the process) (orange) and then making sure that everyone's understanding is clear (yellow and green) so that everyone can engage in the sharing of opinions/ideas etc (blue). Makes a meeting much easier to facilitate because people are showing what is going on for them with the coloured cards, rather than the facilitator trying to perceive what is happening. This produces good results and makes it less scary for inexperienced facilitators. Group members will help the facilitator by pointing out (for example) a red card that the facilitator has not noticed. Encourages quieter people by providing a level of non verbal communication that validates a whole range of different states. Facilitates greater connection through enabling the sharing of emotional content effectively. In the subtropics (especially SE Queensland and Northern NSW in Australia) people sometimes talk of three growing seasons (or 3 "summers") - tropical summer, European summer, Mediterranean summer. Each "summer" is perfect for growing the classic crops of those areas. This model has helped me better understand our growing seasons. We generally use it in my community (Bellbunya). Tropical - hot, humid, wet. Summertime, after the rains start our wet season (usually by November/December, but has been late in recent years) until March/April when things cool down. Insects and fungal disease will destroy European and Mediterranean vegetables so grow tropical substitutes. Grow what they grow in South East Asia: tropical beans, sweet potato, ceylon spinach, Brazilian spinach, cassava, taro, pumpkin/melons, yakon, arrowroot, ginger/tumeric. Mediterranean Summer - dry air, warm winds. Generally starts about August/September. You need to water (and protect the gardens from digging bandicoots). Grow what they grow in the Mediterranean: cucurbits (Pumpkin, Cucumber, Zuchini, Melon), tomato, eggplant, capsicum, corn, beans. When: Summertime, after the rains start our wet season (usually by November/December, but has been late in recent years) until March/April when things cool down. Issues: Insects and fungal disease will destroy European and Mediterranean vegetables so grow tropical substitutes. Think of what is grown in SE Asia. 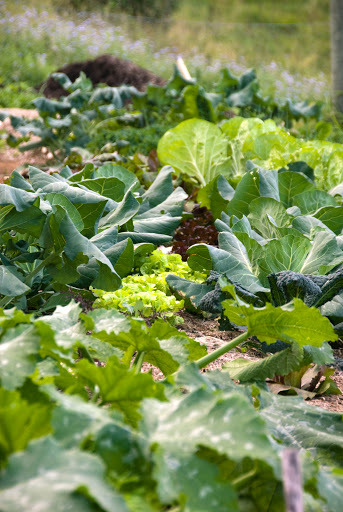 Fertilise the entire garden with an organically based fertiliser. Watch out for caterpillars on citrus, impatiens and white cedar. Madagascar Beans Phaseolus lunatus: This perennial vine produces bountiful crops of beans. Use them fresh as a substitute for broad beans or use the shelled dried beans, cooked in soups, stews and vegetable burgers! Turmeric (Curcuma domestica), Ginger (Zingiber officinale), Galangal (Alpinia galangal): All three of these common spices find their way into food we eat, yet few people grow their own fresh supplies. Start with a rhizome purchased from an organic market or green grocer. Simply plant out in the garden and harvest garden fresh rhizomes whenever you need them. Taro Colocasia esculenta: The large, attractive leaves of the taro plant look great in a tropical garden. Plant it where the soil is moist or plunge potted specimens into a pond. One tuber multiples quickly, producing young tubers that can be cooked like potatoes. The easiest way to ensure you get a sweet, edible variety is to buy your planting stock from the supermarket or green grocer. Peruvian Parsnip Arracacia xanthorrhiza: This root vegetable from South America produces long, cream-coloured, parsnip-like roots. You can also harvest the tops as a green vegetable or garnish. Propagate from root cuttings. Water Chestnuts Eleocharis dulcis: Few plants are more productive with one corm producing 50 new chestnuts in one season! 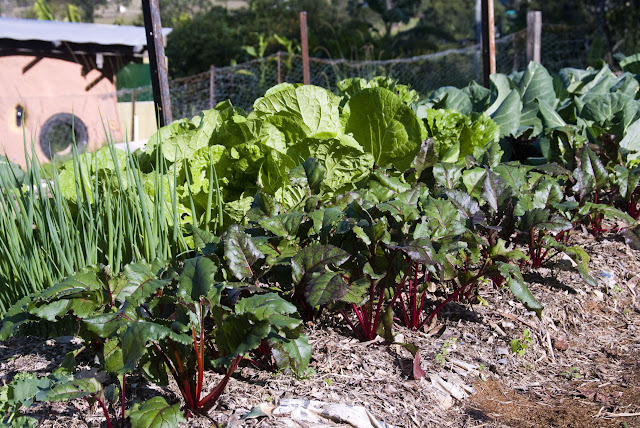 Turn you pond into a productive food garden. Yacon Polymnia sonchifolia: Also known as sweet root, this hardy plant produces large sweet potato-like tubers that are crisp and juicy. Extremely productive, its grows easily from stem cuttings or vegetative tubers. Perennial Coriander: As the heat of summer approaches, annual coriander quickly goes to seed and dies. Not so, the perennial coriander. This low growing perennial produces dandelion-like leaves and prickly seed heads. Keep removing the seed heads as they form if you want greater leaf production. Perennial coriander has a stronger flavour than annual coriander, so you only need a few leaves to provide that great taste. When: Starts in Autumn (March/April) as it cools and the wet season ends until the dry warm air (about August/September) . Issues: less insect activity, great for growing traditional European vegetables, especially brasicas. Slowed growth during winter provides an opportunity to tackle major landscaping projects like making new garden beds, paving, constructing pergolas or building retaining walls. Small chance of occasional frost. Generally rain should have finished by April but in recent years it's gone until end of June. Attention should be paid to making optimum use of scarce water resources. Fertilise fruit trees, citrus, passionfruit, native plants and emerging bulbs, then water well. Plant sweet peas, strawberry runners, seedlings, bulbs, trees and shrubs. Trim plants that have become too rampant over summer. Raise the cutting height of your mower in preparation for winter. Lift, divide, propagate and replant herbaceous perennials. Plant deciduous trees, shrubs, frangipani cuttings, roses. Prune deciduous plants and swollen gall wasp stems on citrus, roses. Relocate poorly positioned trees and shrubs to new areas. Control bindii weed in lawns (look like carrot leaves) to avoid painful burrs during summer. July: carrot, kohl rabi, lettuce, radish, spring onion & turnip, beetroot, broccoli, cabbage, capsicum, celery, endive, French bean, garlic, leeks, peas, potatoes, silver beet, swede, sweet potato, tomato. What: dry air, warm winds. When: Generally starts about August/September and goes until the rainy season hits - hot and humid (usually November/December but has been late in recent year - could be February). Issues: You need to water (and protect the gardens from digging bandicoots). Grow what they grow in the Mediterranean: cucurbits (Pumpkin, Cucumber, Zuchini, Melon), tomato, eggplant, capsicum, corn, beans. Fertilise bulbs, pawpaws, citrus and water well. Protect seedlings from snails and slugs with non-toxic, iron based baits. Repot and fertilize indoor plants. Conspicuous consumption. Body image issues. Overwork. Stress. Unemployment. Need to get ahead. Financial insecurity. Cram school. Global financial crisis. Climate change. Family breakdown. Peak oil. Xenophobia. Lack of time. Suicide. Drugs. Gangs. Suicide bombers and fear of terrorism. Loneliness and social isolation. Racism. Disconnected neighbourhoods. Affluenza, Most of the media and politicians of my home country (Australia) are pedaling values and attitudes that generate unhappiness. Regular (as often as possible) loving kindness mediation. It only takes a few minutes. Try this simple loving kindness meditation to start you off. Perform random acts of kindness for others, especially anonymous ones. Be intentionally appreciative: for example, each Sunday night share 5 things that you are grateful for from the week that has just been. Better still, do it each morning when you wake up. Write down your own personal values and ask yourself of simple things you can do to live more in line with these values. Do the exercises on the Making Australia Happy website. I was in Nepal in 2015 to support the Global Ecovillage Network response to Nepal's devastating earthquakes. I got involved with a great, local NGO called Nexus Culture Nepal, which, like most NGOs, needed funding. So, I researched crowdfunding tools and found that some of the best are actually free. All crowdfunding websites can receive donations via credit card from anywhere in the world. However, there will be some restrictions on what countries they can pay to, due to different laws in every country. Australian based Not For Profit. Crowdfunding platform for social causes - funds can go to individuals or organisations of any type (including companies). Chuffed does not charge any fees. However, credit card fees are charged by the credit card processor (about 2-3%). The project to be funded can be in any country. However, the person, organisation or company running the fundraiser should be from Australia, US, UK, Canada, the Netherlands or Belgium. Funds will be transferred to your bank account in Australia, USA, UK or Europe. For other regions you need a paypal account. They now also have an office in the UK. Philanthropic project of a German software company. Charge no fees and pay all the credit card processing fees themselves. They even have a network of philanthropists who may provide additional financial support to your project. Will send money anywhere in the world, however, if you are not a registered charity in Germany you can only receive up to 2,500Euros per quarter in donations. USA based crowdfunding site. You will receive the donations (via stripe, wepay or paypal). They seem to be open to other countries running fundraisers direct, which then depends on if you can get your own paypal, stripe or wepay account to work in your country. Youcaring charges no fees but the payment gateway (paypal, stripe, wepay) will take 3% or so. USA based crowdfunding platform by Indiegogo, one of the biggest crowdfunding companies. For individual and social causes. No fees except the credit card fee charged by the payment processing gateway. According to the website, in most cases, a donation to a personal fundraiser is considered a gift and not taxable income to the campaign owner (but best to check with an accountant). Available for Australian projects, there are no charges except the credit card processing fee of 1.5%, which is the lowest of all the platforms. You must open a Bendigo Bank account to be able to receive the fnds. UK based charity Provides financial support, through on­line crowdfunded donations, to local businesses in the developing world with the aim to promote growth, education, and training to local communities and generate employment and new services. We live in a time of dramatic change. Never before have the challenges been so great. And never before have ordinary people had so much power to change the world. May we act to bring about a world of true compassion, deep sharing and joyous diversity. I use this blog mostly as an online repository of information and resources that interest me. As such, some of it is in a state of development. I have a background in community development, ecovillage development, information systems, organisational development, permaculture and international development. I am passionate about social justice, simple living, bush-walking, cultures of the world and village life and I am currently on a global pilgrimage: sometimes walking for hundreds of kilometres, sometimes helping community organisations in areas such as: facilitation, strategic planning, building an effective online presence or getting a volunteer program set up, and sometimes doing blind trust experiments with free hugs.